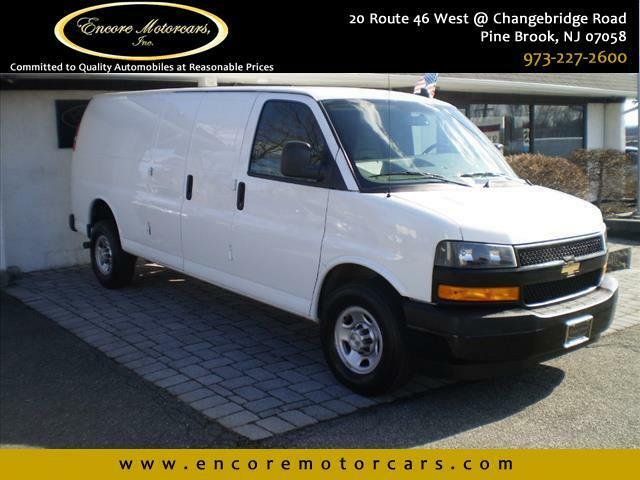 Used 2018 Chevrolet Express 2500 Cargo Extended for Sale in Pine Brook NJ 07058 Encore Motorcars Inc.
CLEAN AUTOCHECK HISTORY REPORT! FACTORY WARRANTY! ONE OWNER! This 2018 Chevrolet Express 2500 EXTENDED Cargo Van has a 4.3L V6 EcoTec3 engine with an automatic transmission. This CLEAN cargo van is loaded with features such as back-up camera, traction control, AC Plug, side airbags, power windows/locks/mirrors, automatic headlights and more!